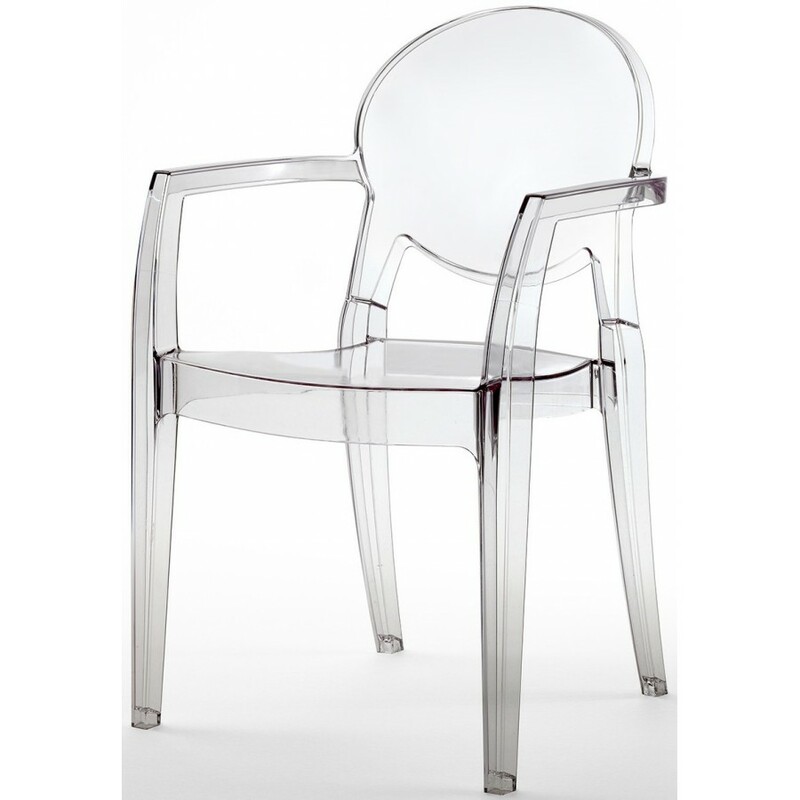 Stackable chair with armrests in transparent or full-color polycarbonate or technopolymer for indoor and outdoor use. 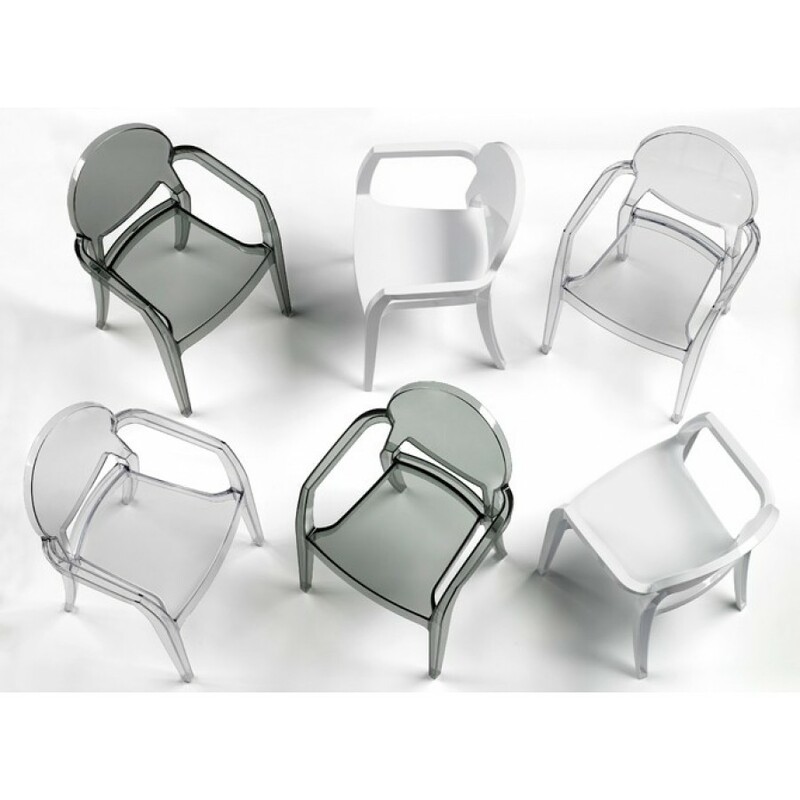 The Igloo chair is a chair with a modern design and appealing. 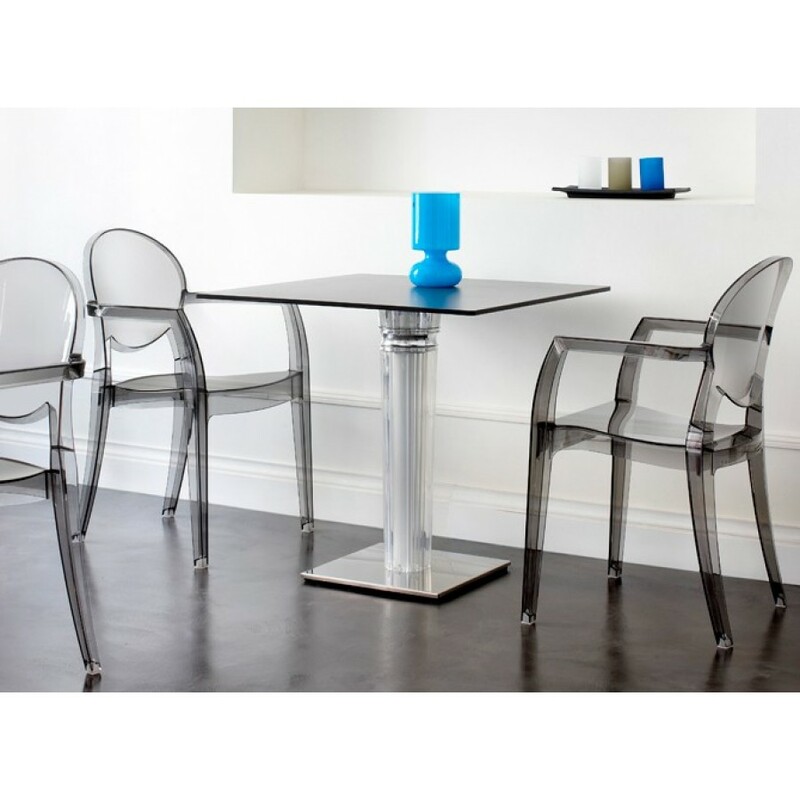 Available in transparent, transparent smoked grey, glossy white or glossy black polycarbonate or in linen or anthracite grey technopolymer. Suitable for indoor and outdoor use. Chair with armrests, stackable. Possibility to have the pillow on request with extra charge.